With an Introduction and Notes by Linda Dryden, Professor of English Literature at Edinburgh Napier University and the author of Joseph Conrad and H. G. Wells: The Fin-de Siecle-Literary Scene. At the end of the nineteenth century a stranger arrives in the Sussex countryside and mayhem ensues; in the sleepy county of Kent a miracle food brings biological chaos that engulfs and threatens the entire planet. 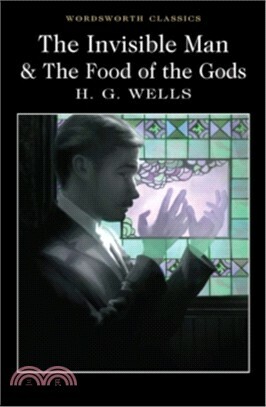 H. G.
Wells's fertile and mercurial imagination never brought us more bizarre and unsettling stories than those revealed in The Invisible Man (1897) and The Food of the Gods, and How It Came to Earth (1904). These are stories of extraordinary physical transformations and are at once extremely funny and richly imaginative. At the same time, Wells poses some very probing questions about the ethical dimensions to science and the human capacity for both pity and cruelty. Brought together for the first time in this new Wordsworth edition, The Invisible Man and The Food of the Gods are two of Wells's most entertaining and thought-provoking works.